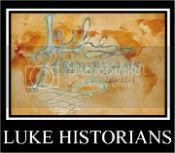 Visit our new website at www.LukeHistorians.com: Jesus Christ, The Narrow-Minded Bigot? Jesus Christ, The Narrow-Minded Bigot? "It's a commonplace scenario that was repeated recently: Christian invites unbeliever to salvation. Unbelieving onlookers wag their heads and proceed to enact the contemporary equivalent of stoning or the lion's den, whichever stamps the notion out quickest..."